‘It was like a civil war in the midst of the world war,” says a minor character in “The Light in the Ruins.” He is describing Italy in 1943, the tumultuous period that serves as the backdrop for Chris Bohjalian’s newest literary thriller. Italy had lost the war in North Africa in May of that year, retreated from the Allied invasion of Sicily in July, arrested Mussolini later that month, and surrendered to the Allies in early September, only to see the Germans occupy Rome and reinstall Il Duce as the leader of a puppet Nazi regime. From then until the end of World War II, Italy was wracked by conflict, with a large Resistance movement fighting the Nazi occupiers even as other Loyalist Italian armies stayed true to Mussolini and fought alongside the German forces. It’s in the midst of this chaos that we meet Antonio and Beatrice Rosati, descendants of Italian nobility and landlords of the vast Monte Volta estate. While their sons are off serving their country — Marco as a reluctant engineer in the Italian Army in Sicily, Vittore as an archeologist in Florence trying to keep Italian antiquities safe (and out of Berlin) — the marchese and marchesa carry on their well-fed, relatively undisturbed life. Think of Christopher Plummer in “The Sound of Music,’’ only with olive groves and vast stores of wine. Just swap out the singing sailor-suited children with Marco’s sophisticated and cynical wife, Francesca, her two children, and the Rosati daughter, Cristina, an entitled 18-year-old. Like the Baron von Trapp, Antonio and Beatrice somewhat disdainfully but politely entertain the German officers who visit their home to explore the primitive Etruscan tombs uncovered on their property. And like Liesl von Trapp, Cristina falls in love with a handsome German soldier. In alternating chapters, we move between the Rosatis in the Tuscan countryside in 1943 and Florence in 1955, where someone is gruesomely, systematically killing the Rosati women. Francesca, who lost both her husband and children before the war’s end, is the first victim. The now-widowed Beatrice is the next. It’s up to Florence’s only female homicide detective, Serafina Bettini, to stop the killer. Orphaned and tough, Serafina took up arms against the Nazis as a teenager, and the physical and emotional scars she suffered from an explosion right near the Rosatis’ home continue to haunt her. As the family and the far more interesting political history unfold, Bohjalian subtly and skillfully manipulates our suspicions. Is the killer (whose lucid monologues give us occasional glimpses into a calculating mind) a man or a woman? A German or an Italian? One of the dead whose bodies were never recovered? Might it even be Serafina herself? In practically every chapter, he conjures up a hint of identity, a wisp of a motive, trusting his readers to foment their own speculations. Alas, all of Bohjalian’s creative energy seems to have been focused on constructing this array of plot possibilities, to the neglect of fleshed-out characters. Francesca is cynical and dissolute, Vittore passionate, Serafina burned and obsessed with using physical pain to dull her psychological anguish. But these defining adjectives or behavioral tics are as deep as he gets. Without them, his characters would be almost indistinguishable. 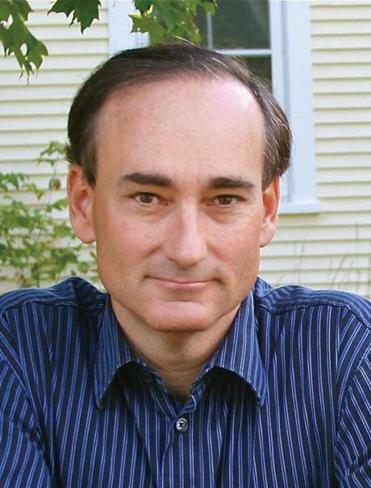 If you’re new to the work of Chris Bohjalian, you’ll probably find “The Light in the Ruins” to be a well-researched, historically interesting, perfectly satisfactory literary thriller. But if you’ve read most of his books, churned out with the almost unfortunate regularity of Fiats or Heinekens, you’ll wish that this talented, prolific writer would slow down and give us a book whose characters are as complex as its plot. Julie Wittes Schlack, a writer based in Cambridge, can be reached at jwschlack@gmail.com.